RestorationMaster provides disaster restoration and cleaning services to Memphis, TN and the surrounding areas. We are dedicated to building relationships with our clients and providing excellent customer service by employing the principles of faith, vision, and kindness. We have received several awards for both our carpet cleaning and disaster restoration divisions in recognition of our work. Serious accidents and death are an unfortunate aspect of life and RestorationMaster provides biohazard cleanup services to restore scenes involving crimes, injury, or death. 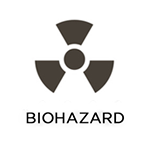 Biohazard materials include blood, bodily fluids, and other biological materials that could spread infection. Our technicians are highly trained to safely remove biohazard matæerials without contaminating the scene or putting others at risk for infection. This service includes disinfection, deodorization, and sanitization of the scene to completely restore it to its previous condition. 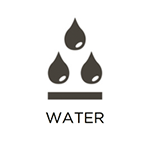 Your home could suffer water damage from a number of different sources such as flooding, leaks, and condensation. RestorationMaster provides water damage restoration services to remove excess water from homes and businesses and restore any damage it caused. Make sure to contact us immediately if you discover water damage in your home because the damage could become permanent and even lead to mold growth. Our technicians use the best cleaning methods and equipment of the industry to restore water damage and fix the source of the moisture to prevent future water damage. 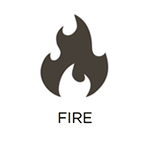 Fires cause a devastating amount of damage to a home and they often strike with little or no warning. 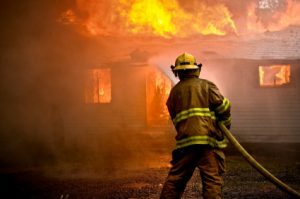 Contact RestorationMaster immediately if a fire strikes your home or business in the Memphis area for fire damage restoration services. The soot and corrosive byproducts left behind after a fire can cause permanent damage so it is important to start fire damage cleanup services as soon as the fire is extinguished. Our staff can salvage furnishings and structures that have sustained fire damage and we can also completely remove soot and smoke damage from a variety of different household surfaces. 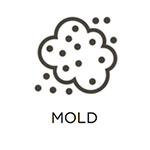 Mold grows in homes as a result of high levels of moisture or humidity and it can cause property damage as well as a range of health problems. 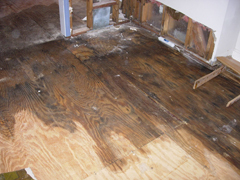 RestorationMaster provides mold remediation services to remove mold growth and repair the damages it caused to the surface. Our technicians begin the mold cleanup service by testing for moisture and locating its source. 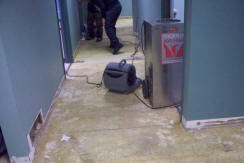 We then remove the mold growth and either repair or replace the affected surfaces. Mold can lead to several serious health risks so contact RestorationMaster as soon as it is discovered. The flooring is the most used furnishing within a home and the daily foot traffic causes all flooring types, including carpet and hard floors, to accumulate dirt, dust, and other debris that are difficult to remove with household cleaning methods. RestorationMaster offers carpet cleaning and hard floor cleaning services to homes and businesses using the best cleaning methods and equipment available. Our carpet cleaning services remove debris from deep within the carpet fibers to improve its appearance and our hard floor cleaning services cover hardwood, tile, and vinyl flooring. We offer one time carpet cleaning and floor care services as well as regularly scheduled cleanings for businesses. If you have a loved one or family member that struggles with hoarding issues, RestorationMaster can help. 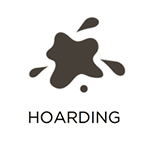 We provide hoarder cleanup services to assist those that are helping a hoarder clean out their home. Hoards may contain mold, trash, odors, and even dead or decomposing animals and our technicians are trained in biohazard cleanup to remove these materials. We make sure to approach each hoarder cleanup project with a sense of compassion because of the sensitivity of the situation. Our hoarder cleanup process includes decontamination, deodorization, and disposal and is compliant with OSHA, Department of Transportation, and EPA rules and regulations. When a disaster causes significant damage to your home, the damage often extends to your personal items which include soft contents such as clothing and bedding. Soft content items are very delicate which means they can sustain significant damage from fire, water, or mold, but it is possible to salvage most types of soft content. RestorationMaster provides soft content restoration services in Memphis, TN to clean and restore all types of soft content. We use environmentally friendly cleaning products that are safe and effective for removing mold, water, odor, and soot from the fabric.